HIVLongevity.com was originally started by Vaughn Ripley as a personal blog. 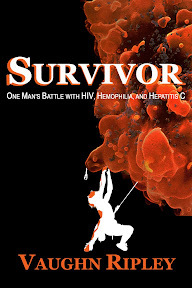 Over time, he has crossed paths with many other HIV survivors and eventually Vaughn started asking some of these other brave souls to author some blog posts on here. If you are an HIV survivor, and would be interested in posting some of your stories and/or thoughts on this blog, feel free to send Vaughn a message. Vaughn Ripley was born with hemophilia type A. In the mid-80's he received a "bad" batch of blood during a transfusion of Factor VIII to curb one of his many bleeding episodes. This bad batch resulted in him getting HIV. Vaughn is one of the longest living HIV+ people on the planet. 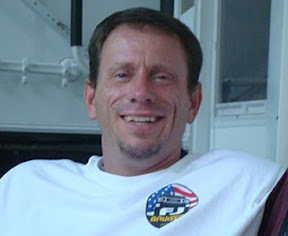 Vaughn is a published writer and successful information technology businessman. 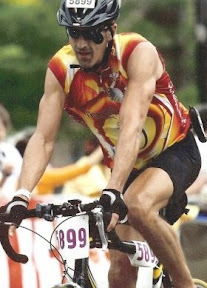 He has raced motorcycles, rock climbed, attempted Mount Rainier, and run a marathon. In his spare time, he enjoys writing, playing guitar, weight lifting, mountain biking, and off-roading. He lives with his wife and two children in Maryland. Barry Haarde, born in 1965, has severe hemophilia A, HIV and hepatitis C. Barry lives and works near Houston, Texas and co-facilitates an HIV/AIDS ministry at the Woodlands Church. He serves on the board of the Committee of Ten Thousand and is active in the Hemophilia Federation of America’s Blood Brotherhood Program. Barry also distributes the “hemophilia archives e-newsletter,” which is devoted to preserving and passing on the history of the hemophilia experience over the past fifty years.